Dimensions 0.75 by 5.50 by 9.50 in. The Conficker worm infected its first computer in November 2008 and within a month had infiltrated 1.5 million computers in 195 countries. Banks, telecommunications companies, and critical government networks (including the British Parliament and the French and German military) were infected. No one had ever seen anything like it. By January 2009 the worm lay hidden in at least eight million computers and the botnet of linked computers that it had created was big enough that an attack might crash the world. Surprisingly, the U.S. government was only vaguely aware of the threat that Conficker posed, and the task of mounting resistance fell to disparate but gifted group of geeks, Internet entrepreneurs, and computer programmers. They formed what came to be called the Conficker Cabal, and began a tireless fight against the worm. But when Confickerâs controllers became aware that their creation was beginning to encounter resistance, they began refining the wormâs code to make it more difficult to trace and more powerful testing the Cabalâs unity and resolve. Will the Cabal lock down the worm before it is too late? Game on. Worm reports on the fascinating battle between those determined to exploit the internet and those committed to protect it. About: From the author of Black Hawk Down comes the story of the battle between those determined to exploit the internet and those committed to protect it—the ongoing war taking place literally beneath our fingertips. About: The Conficker worm infected its first computer in November 2008 and within a month had infiltrated 1. 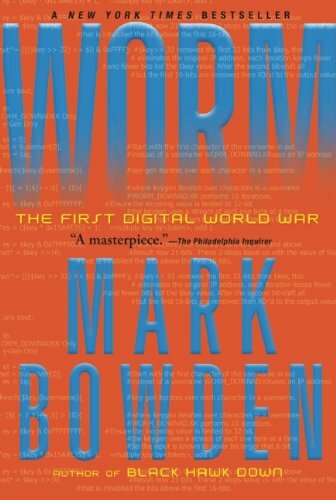 About: Worm: The First Digital World War tells the story of the Conficker worm, a potentially devastating piece of malware that has baffled experts and infected more than twelve million computers worldwide.